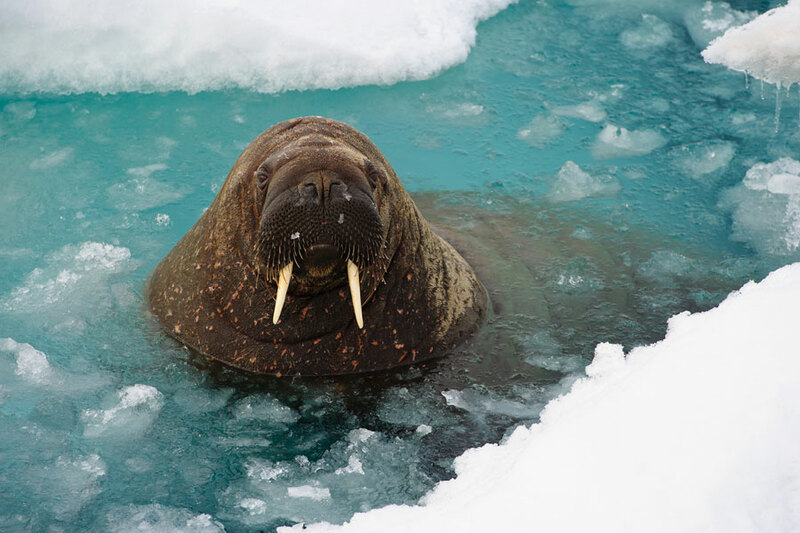 Tusked and bristly-cheeked, the walrus is a master diver, but the Arctic ice is an essential resting platform. With summer sea ice retreating to record low levels, walruses are being forced onto land and are congregating along the coast—many in the Chukchi Sea, where oil leases have been sold. The USGS has a walrus tracker and a video of a walrus "haul out" in Point Lay, Alaska.